These initial ideas of Robert Franks shooting list would be compiled into the seminal photographic book, The Americans. I like these lists because they are excuse to get out the door. 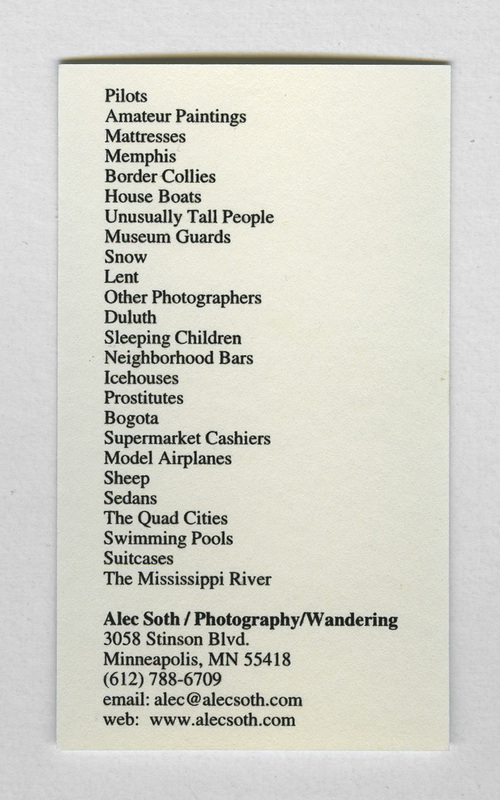 But the reason I used the list on my business card is because it explains my photographic practice. I don’t want to just photograph Weimreimers. 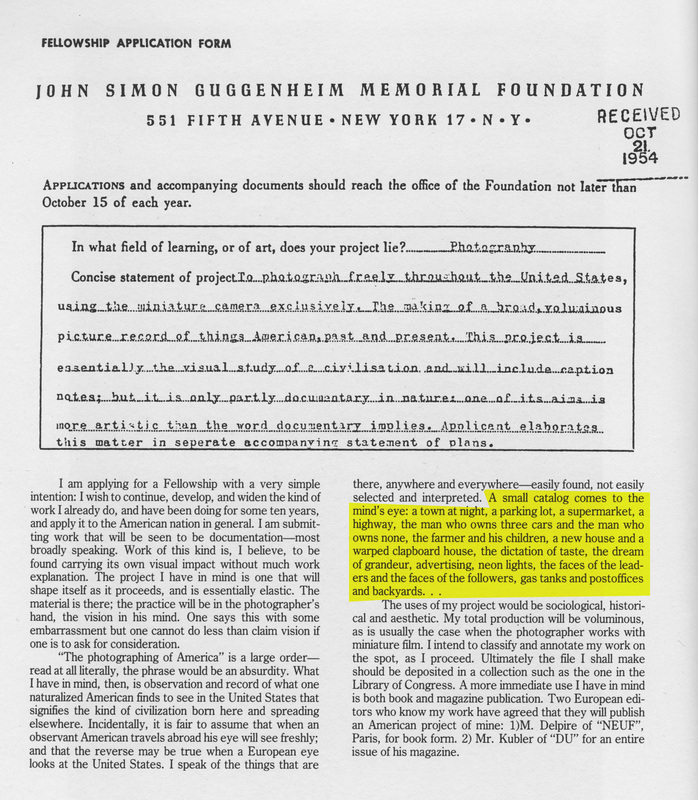 I want my subject to be, as Robert Frank put it in his 1954 Guggenheim Fellowship proposal, ‘broad’ and ‘voluminous’. As a class, shoot your interpretation of the following items on the List that is created in class. In considering your photographic vision and use of camera aesthetics, give particular attention to your use of the photographic frame, vantage point, moments of exposure and the role and use of light to reveal your interpretation of the thing itself and details as they relate the items on the compiled Shooting List. Two (2) – digital contact sheets (no more than 6 images on each sheet) of at least 6 – 8 different items on the compiled Shooting List, revealing an interpretation of each of the items through your photographic vision and sense of technical execution and craftsmanship. Two (2) – finished photographic prints made in the Grossmont College Digital Lab of subject matter from the Shooting List that is selected from a class edit of the digital contact sheet, revealing an interpretation of that item through your photographic vision and sense of technical execution and craftsmanship. Minimum of One (1) – digital contact sheet of film shot on the compiled Shooting List, revealing an interpretation of each of the items through your photographic vision and sense of technical execution and craftsmanship with Holga camera . Minimum of One (1) – finished photographic prints made in the Grossmont College Analog Darkroom of subject matter from the Shooting List that is selected from a class edit of the digital contact sheet, revealing an interpretation of that item through your photographic vision and sense of technical execution and craftsmanship.